Wound care is a dominant focus in nursing education and it encompasses theoretical underpinnings and practice of wound care related healing modalities. There are gaps in wound care education literature such as inconsistency between theory and lab teachings and constraints within the time allotment for practice. Such gaps impact the Bachelor of Science in nursing (BScN) students’ learning, their critical thinking, and wound care knowledge application. This article will explore wound care education for nursing students and its related gaps with a focus on a recent study that was conducted in Western Canada to further highlight their existence and impacts to create positive change. In this study, 126 BScN students and 44 nursing faculty members participated in three online surveys and two focus groups. The data collected was analyzed and led to identifying strategies to alleviate the existing educational gaps, which consequently will strengthen the BScN students’ decision making skills and wound care knowledge application. In addition, identifying such gaps will increase the wound care education curriculum developers’ awareness of their existence to provide more consistent, updated, and comprehensive wound care education; thus, supporting the BScN students learning. Nursing requires a high degree of intellectual and physical aptitude to perform various skills competently and safely. Wound care is one of the foundational skills taught in the nursing curriculum and it includes but is not limited to pathophysiology of the healing process and its related healing initiative of wounds’ assessment, prevention, treatment, and dressing changes. The BScN students master such theoretical underpinning of wound care principles, knowledge, and skills in their classes and the clinical settings . A review of the literature highlights gaps in the wound care education and articulated their impacts on BScN students’ learning and nursing practice, as often they are challenged to transfer the learned knowledge to practice. This article will examine wound care education and it related gaps with a focus on a recent study that was conducted in a community college in Western Canada where 126 BScN students and 44 nursing faculty members participated. The study findings were examined and supported with wound care education literature, which led to identifying strategies and recommendation to alleviate such gaps and their impacts on the BScN students’ learning. In addition, identifying such gaps increase the curriculum developers’ awareness of their existence to strengthen the wound care education curriculum; therefore, impacting positively the BScN students’ learning to provide optimal patient wound care. To examine wound care education and the BScN students’ wound care challenges, a wound-care education literature review was conducted. Finding articles that specifically examined wound care education delivered to the BScN students was challenging; however, two studies addressing the topic thoroughly were identified. These studies acknowledged that there are significant gaps in wound-care education, which have remained unchanged over many decades [2,3]. A study done by Zulkowski et al. in the United States, reviewed components covered in a Baccalaureate nursing program showed that “Nursing practices to heal wounds have not consistently been implemented and practiced” . The authors’ findings identified many discrepancies due to insufficient preparation in the nursing programs: “70% of the nurses did not have sufficient education on chronic wounds in their basic nursing preparation” . In addition, the study showed several inconsistences between lab and clinical teaching; furthermore, failed to cover basic wound related healing modalities such as wound culture and dressing types. The authors concluded that “Several major areas of wound care content . . . are missing from the BScN program curriculum” . Similar findings were echoed by Moore and Clarke who identified various discrepancies in teaching wound care as well as the fact that educational material was not comprehensive in covering all wound types . For example, 86% identified that pressure ulcer prevention and diabetic foot ulceration needed more attention, and 87% were not satisfied with the time allocated for wound care management . “Overall, 77% felt that the content of nursing undergraduate wound management education was not adequate” . 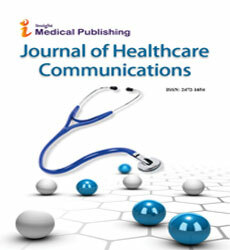 Consequently, the authors related these findings to their impacts on translating knowledge to practice, which was demonstrated by a lack in the clinical decisions-making skills, they asserted, “The newly qualified nurse may not feel empowered to make appropriate clinical decisions in wound management. . . this in turn impacts negatively on clinical outcomes”. Overall, the authors collectively recognize that many contributing factors lead to educational inconsistences such as; gaps between theory classes and practice, constrictions of time allotted, lack of experienced faculty teaching and agreed on their impacts on the RN students’ learning [2,3]. In addition, the literature generally cautioned learners about the complex nature of wound care management, identifying it as one of the fastest growing areas in the health system, which can intensify the above-mentioned discrepancies and impose various challenges in the decision making process and wound care knowledge [4,5]. McKeeney acknowledged the ambiguity of wound care products and having more than one product for the same wound presentation, he stated “Certain factors make choosing an appropriate product complicated, not least of these is the large number of products already available and frequent development of new products” . Orsted et al. espouse similar argument and acknowledged the impacts of having constantly new wound care research data available, they stated “Health care professionals are challenged to appraise, interpret and reconcile this information with their experiential knowledge and understanding of the clinical context” . It is also evident throughout literature that wound care necessitate a practical nature and students master foundational theoretical underpinnings of wound care principles, knowledge, and skills in their classes, lab, and clinical settings [1-3]. Moore & Clarke emphasized the importance of practicing wound care and on building on RN students professional growth as it provides them with opportunities to applying their learned knowledge; therefore, building on their confidence and clinical judgement skills . Stephens and Jones echoed their views and asserted that decision-making skills for nursing students are seldom developed within a class setting, and they highlighted, “When theory is applied to practice. . . students learn to deliver care safely” . Acknowledging the findings from the above studies and the significance of wound care education gaps, more research and investigation are necessary. In light of this, a recent wound care education study was conducted in Western Canada to examine the credibility of the identified findings along with viewing their relevance to a Canadian nursing-education context. The study details will be discussed in the following sections as well as the suggestions to move forward to strengthen wound care education. 1. What are the strengths of the present curriculum of woundcare education? 2. What are the opportunities for improving wound-care education? 3. What are the educational barriers that exist within the interdepartmental organizations that impact wound care? To establish rigour throughout this research and to ensure trustworthiness and authenticity, I applied two research data collection methods: online surveys and focus group sessions. Three online electronic surveys were distributed during the first phase of this study. The surveys utilized FluidSurveys software to ensure participants’ confidentiality and to also meet all Canadian privacy and protection of information standards. Participants for the surveys included 126 BScN students across the four years and 44 faculty members. The three surveys were launched at the same time and were open for a 2-week period to accommodate different participants’ schedules. Anonymity and confidentiality of all participants were maintained, and all participants received an invitation and a survey preamble via the administrative assistant. The survey results are displayed in the following tables: Table 1 for the first year, Table 2 for year (2-4) and Table 3 for faculty. Table 1: The first year BScN students’ satisfaction of basic wound care theoretical principles and application. Table 2: The years (2-4) BScN students’ satisfaction of wound care education. Table 3: Faculty’ satisfaction with wound care education curriculum and the allocated resources. Following the surveys, the second phase of data collection method took place, in which two focus group sessions were conducted with faculty. All participants received an invitation letter, signed an informed consent form and sessions were facilitated by a third party. The focus group session consisted of eight open-ended questions that promoted open dialogue, knowledge sharing, and personal experience of wound care education. The results of these two sessions primarily generated new qualitative data and authenticated the data collected via surveys, adding further credibility and validity to the research findings and conclusions. 1. There was a strong consensus among participants regarding lack of wound-care practise time. 2. Participants found wound-care resources to be limited. 3. Participants reported current curriculum strengths, related inconsistencies, and recommended levelling of wound care education. 4. There was consensus among participants that BScN students possess poor wound-care decision-making skills. 1. Hands-on wound care practice time significantly impacts BScN students’ learning. 2. BScN students’ decision-making skills are impacted by the limited resources available. 3. Creating positive change to wound-care education requires commitment, regular re-evaluation of the curriculum and integration of updated resources. 4. Building on the current curriculum strengths enhances levelling of wound care education thereby eliminating educational inconsistencies. This study findings have similarities to the above discussed literature reviews and proved once again that wound care educational inconsistencies prevail throughout. While the contributing factors can be endless, but the astonishing fact such gaps exist and impact the BScN students’ learning and their knowledge application. What is the solution? How can we move forward? Alleviating inconsistences in the wound care education can be simple yet complex at the same time. The literature discussed measures on improving wound care education and practice for the RN students. To start with, the primary and foundational focus is enhancing and strengthening the delivery of wound care education was stressed on the nursing education curriculum and the teaching team [2,3]. It is well articulated throughout the literature, that the teaching team is committed to provide RN students with updated theoretical knowledge, in addition they strives to assist RN students in translating the learned knowledge into practice and to provide them with quality and supportive education [7,8]. Despite this strong commitment, gaps in wound care education continue. How should we proceed to overcome these challenges? Moore and Clarke stressed the importance on focusing on nursing education highlighting its effects on providing the necessary knowledge and skills necessary to carry out effective wound care management and competent nurses in wound care along with the need to frequently revise and evaluating what is being taught to align with changes in wound care research . The authors focused on the accountability on preparing future nurses and equipped them with all the tools they need to practice competently and safely. “The purpose of the undergraduate nurse education is that, on qualification, the individual should be equipped with knowledge and skills necessary to practice as a competent professional nurse” . These recommendations reiterated by other authors who suggested regular evaluating and revisiting of the wound care curriculum is imperative and paramount for the RN students learning and wound care practice. “Faculty need to examine wound care content that is being taught in their programs …we need to ensure improved wound care prevention and treatment instruction for future nurses” . Secondly utilizing the concept of evidenced–based practice (EBP) is apparent in the science of wound care and paramount in the science of nursing, as the principles are based on integration of the current and best research available, professional expert opinions and recent studies of real-life practices to achieve quality care. “Use of evidence-based practice means integrating the best research with clinical expertise. . . to achieve optimal health outcomes” . Building and strengthening critical thinking and reasoning of the RN students is attainable by utilizing the EBP in the education curriculum and clinical practice will enhance their decision-making. “EBP beings by encouraging and fostering a spirit of critical inquiry and intellectual curiosity about practice in all level of nursing students… they often ask “how” and “what” questions, making the integration of EBP a natural process in the professional socialization of future nurses” . Similar findings were iterated throughout the literature, for example Lusardi stated “EBP is the integration of the best evidence with clinical experience…to facilitate clinical decision making” . Research contributes profoundly on the importance of incorporating simulated wounds in teaching, which is an effective tool that reinforced the wound care knowledge learned and enhance preparedness for the clinical settings. “Incorporating simulated wounds which are designed to meet the outcomes of the educational modules…will assist in the theory/practice gap and help to develop students’ confidence in performing wound care skills” . Stephens and Jones discussed the importance of utilizing simulated wounds and their significance on enhancing students’ learning and suggested accurately replicated wounds included features such as “realistic wound beds, periwound areas and exudate” to smooth the transition to clinical settings and enhance students’ confidence and decision-making abilities. In general, the literature values the incorporation of simulation into the nursing curriculum and views it as a valuable tool to gain knowledge and to enhance critical thinking as it provide students with opportunities to stimulate their critical thinking silks; therefore, strengthening their decision making skills. “Simulation offers an innovative approach that complements and easily integrates into existing nursing curricula, addressing the needs of a new generation of nurses and a society with increasingly complex health care needs” . In addition to the above mentioned measure, special attention needs to be focused on clinical placement and the RN students’ perspective, which at times and unintentionally is taken for granted. Having a supportive clinical placement proves a hallmark on empowering the RN students’ learning, building on their nursing knowledge and experience; which subsequently fosters the growth of their critical thinking and decision-making skills. “Clinical experiences for students can deeply impact their overall perception and ability to have meaningful clinical practice” . To amplify the learning gained from the clinical settings, it is important for the e RN students to feel supported, welcomed and empowered, which has a significant impact on their learning. “A key basis for affording novice nurses a productive engagement within clinical settings is creating an environment that is invitational for them to participate in and learn” . It is important to acknowledge students’ perspective on being situated in the clinical placement which can be a significant transition as it comes along with personal challenges. Stress, fear, excitement and anxiety are some of the emotional and behavioural manifestations displayed by RN students in the clinical setting [7,11]. Therefore, it is imperative to acknowledge the RN students hidden feelings about the clinical setting, which in combination with the complexity of wound care and its related educational gaps can easily intensify RN students experience at the bedside impacting negatively their critical thinking and decision making skills. “This lack of attention to clinical education is significant, as nursing students report clinical experiences to be the most influential factor in the development of their nursing skills, knowledge, and transition into the professional nurse role . Utilizing the above discussed measures and approaches will bring positive change to the RN students wound care education, which will impact their knowledge translation and application to practice. In addition, I believe there is responsibility for the RN students to enact on their individual accountability by keeping themselves updated and utilize the available wound care resources in their clinical placements, as result this will foster the elevation of wound care inconsistences. “Each must consider their own personal growth to achieve a high level of professionalism and health advocacy” . Wound care education is a complex phenomenon and increasing awareness about its educational discrepancies is paramount in creating positive change and supporting the BScN students learning. This can be attainable with ongoing effort and commitment from the curriculum developers to provide up to date evidenced based wound care theory along with consistent and inclusive in covering would care principles and management modalities. Adhering to this will strengthen the wound care education, eliminate its consistencies which will reflect positively on enhancing BSCN wound care management learning and strengthening their critical thinking and knowledge application “Applying the best evidence to support nursing practice and generating new knowledge for use in practice are the hallmarks of excellence and allow practitioners to meet patient care quality and safety priorities” . Paul P, Day RA, Williams B (2016) Brunner & Suddarth’s Canadian textbook of medical-surgical nursing (3rd ed). Philadelphia, PA: Wolters Kluwer. Moore Z, Clarke E (2011) A survey of the provision of education in wound management to undergraduate nursing students. EWMA J 11: 35-38. Zulkowski K, Capezuti E, Ayello E, Sibbald R (2015) Wound care content in undergraduate programs: We can do better. World Council of Enterostomal Therapists J 35: 10-13. McKeeney L (2011) Evaluating the effectiveness of wound management products. Nurs Stand 26: 72-74. Orsted HL, Woodbury MG, Stevenson K (2012) The Wound CARE Instrument: The process for developing standards for wound management education and programming. Int Wound J 9: 264-270. Stephens M, Jones D (2012) Assessing the use of simulated wounds in nurse education. Wounds UK, 8: 74-80. Billet S, Henderson A (2011) Developing learning professionals: Integrating experiences in university and practice settings. Brisbane, Australia: Springer Science + Business Media. Winters CA, Echeverri R (2012) Teaching strategies to support evidence-based practice. Crit Care Nurse 32: 49-54. Lusardi P (2012) So you want to change practice: Recognizing practice issues and channeling those ideas. Crit Care Nurse 32: 55-64. Daley KM, Campbell SH (2013) Simulation scenarios for nursing educators: Making it real(2nd ed.) New York: Springer. Payne C (2016) Transitions into practice: First patient care experiences of baccalaureate nursing students. Nurse Education in Practice 16: 251-257. Graham CL, Phillips SM, Newman SD, Atz TW (2016) Baccalaureate Minority Nursing Students Perceived Barriers and Facilitators to Clinical Education Practices: An Integrative Review. Nurs Educ Perspect 37: 130-137.